Pi4J provides a RCMPin enumeration that is used to manage the accessible GPIO pins. 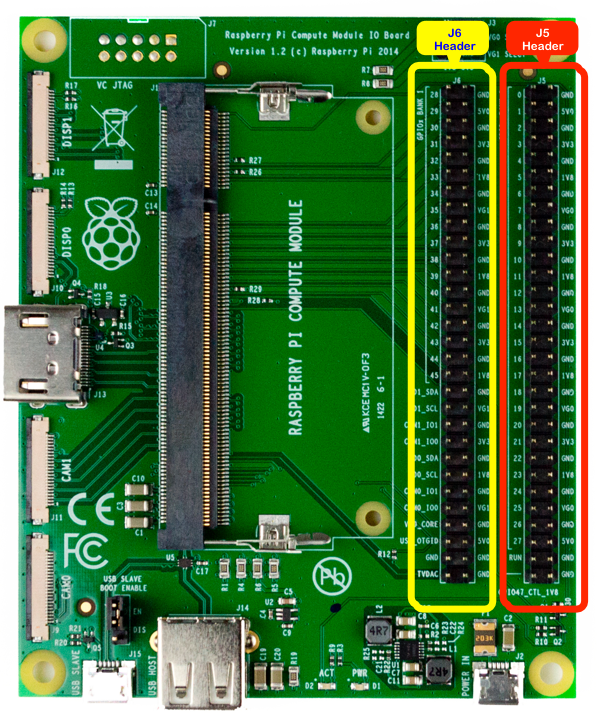 The Raspberry Pi Compute Module development board contains two banks with 60-pin expansion headers labeled as 'J5' and 'J6' providing access to 46 GPIO pins. The diagram below illustrates the (BANK0) GPIO pinout using the Broadcom GPIO numbering scheme. The diagram below illustrates the (BANK1) J6 GPIO pinout using the Broadcom GPIO numbering scheme. Click here for more information on the J5/J6 headers.